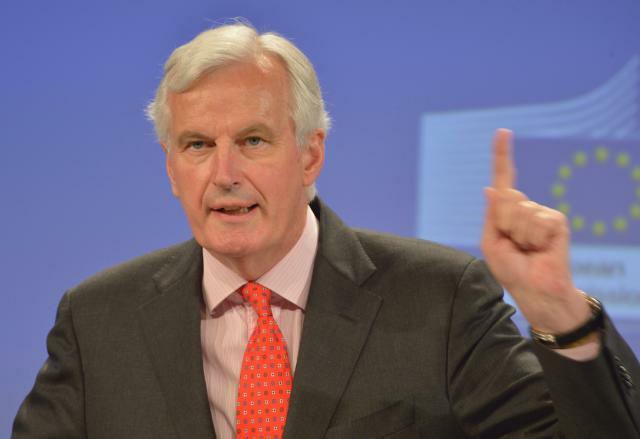 Michel Barnier, Member of the European Commission in charge of Internal Market and Services, gave a press conference to present a proposal for a Single Resolution Mechanism (SRM) for the Banking Union. The mechanism would complement the Single Supervisory Mechanism (SSM) which, once operational in late 2014, will see the European Central Bank (ECB) directly supervise banks in the euro area and in other Member States which decide to join the Banking Union. The Single Resolution Mechanism would ensure that – not withstanding stronger supervision – if a bank subject to the SSM faced serious difficulties, its resolution could be managed efficiently by the European Commission with minimal costs to taxpayers and the real economy. (EC Audiovisual Services, 10/7/2013). It will be increasingly difficult for Germany to repel the creation of a strong and centrally controlled Single Resolution Mechanism for failing banks, the other pillar of the European Banking Union. Yesterday Vítor Constâncio, Vice-President of the European Central Bank expressed his full and unconditional support for the relevant Commission’s proposal. Understandably the first pillar is the Single Supervisory Mechanism (SSM), a task bestowed to the ECB. To be reminded that last Wednesday the European Commission announced a proposal for a Single Resolution Mechanism based on the concept of an agency with wide autonomy and ultimately dependent on the Commission for the crucial decision of putting a bank into resolution. The German minister of Finance Wolfgang Schauble rushed to comment that the Commission’s proposal “has feet of clay”. Constâncio was speaking at an Expert Seminar entitled “Asia’s role in the Global Economy Forum”, organised by Official Monetary and Financial Institutions Forum (OMFIF), on Friday 12 July. When touching the EU’s executive arm announcement for the SRM he said that he was addressing the matter “from a personal point of view”. However ECB’s Vice President is not alone in supporting a strong and central SRM. Mario Draghi also has expressed a similar position albeit in a more elusive way. The same is true for more members of the European Central Bank’s Governing Council. The controversy however over the nature and the function of the SRM is taking every day new dimensions. The head of the Bavaria bankers association (GVB) Stephan Götzl, compared yesterday the Commission’s proposal with a Nazi law allowing the Nazi regime to take over a bank. Reacting to this statement the Commission issued a memo saying, “that the European Commission has certainly no intention of responding to such an inappropriate analogy or of taking part in a polemic of this nature. It would recall objectively that the aim of its proposal is to protect the European taxpayer in case of bank failure. It respects the Treaty, the sovereignty and prerogatives of each Member State. The Council of Ministers and the European Parliament are now going to debate the text as is their role”. With this brief announcement the Commission is not actually replying to the Bavarian banker. The core of the memo is directed to the German government, telling them that they cannot avoid facing this discussion because it will be on the agenda of the two legislative institutions of the European Union that is the Council and the Parliament. What the Bavarian banker said however may trigger wider media coverage and once such delicate issues appear on eight o’clock news, everything becomes surreal. Incidentally this issue if it reaches the main political platform in Germany it may harness Angela Merkel’s prospects in the 22 September legislative election. The idea is that the power to be vested upon the Commission to make the final decision which bank will be resolved in all the 17 member states of the Eurozone, if painted with chauvinist colours and served in a distorting way it may sound quite appalling to the average German voter. Such a prospect could create grave political and tactical problems for the governing Christian Democrats in Germany. As for the question if the creation of a strong and centrally control bank resolution mechanism is compatible with the EU Treaties, Constâncio said that “it is still too early to provide an in-depth assessment of the Commission proposal and a more detailed assessment will be published in our ECB legal opinion”. There is no doubt that the creation of an effective Single Resolution Mechanism will constitute a landmark in the history of the European Union. It will signal the creation of a seamless financial space all over the Eurozone.